RESEARCH TRIANGLE PARK, NC--(Marketwired - January 31, 2017) - Research published by Cutting Edge Information shows that the average spending on pricing studies for a single new product launch sequence is approximately $130,000. Furthermore, the study found that regulatory guidance spending amounts to $125,000. The study, Pharmaceutical Product Launch Sequencing: Maximizing Revenue and Achieving Global Market Access, found that less spending is allocated to payer discussion activity, which averages approximately $92,000. Market research in support of a pharmaceutical product launch accounts for $75,000, on average. On average, surveyed Top 10 and Top 50 pharmaceutical companies spend $47,000 on pricing studies. 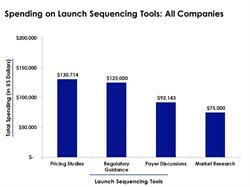 Small companies spend more, however, at an average of more than $190,000 per launch sequence. While Top 10 and Top 50 companies spend $182,500 on regulatory guidance, small companies spend significantly less at $67,500 on average. Payer discussions, however, stand out as the single activity in which small companies spend significantly more than their larger counterparts. On average, small pharmaceutical companies invest $150,000 in payer discussion activities, compared to Top 10 and Top 50 companies, which allocate only $69,000 of funds to payer discussions. "These data show a divergence in spending patterns based on company size, as large companies invest more heavily in regulatory guidance and market research than small pharmaceutical manufacturers," said Adam Bianchi, senior director of research at Cutting Edge Information. 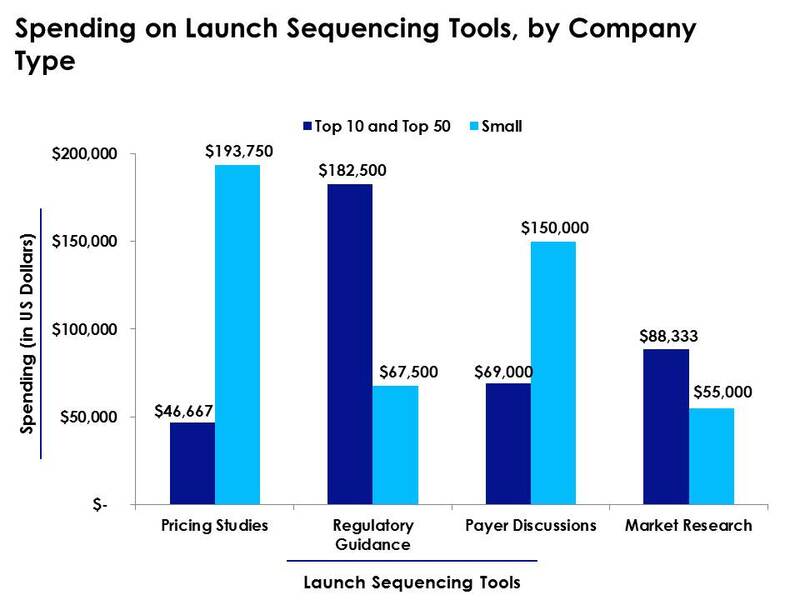 Spending on pharmaceutical launch sequencing can depend on company size because of resource constraints, but product portfolio also impacts the budget. 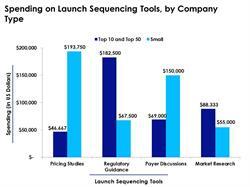 A company may be less inclined to invest heavily in launch sequencing activities if it has recently launched a product in a similar therapeutic area. 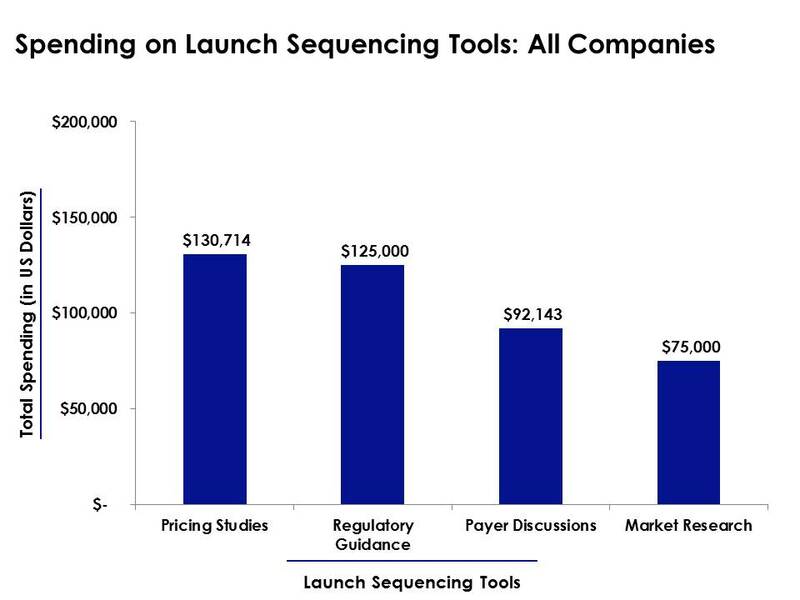 Pharmaceutical Product Launch Sequencing: Maximizing Revenue and Achieving Global Market Access, available at http://www.cuttingedgeinfo.com/research/market-access/global-launch-sequencing/, guides drug companies on how to maximize their margins when launching products around the world. The report identifies uses case studies and data analysis to build and demonstrate ideal first-wave and second-wave launch sequences for new pharmaceutical brands. The study also includes key trends in how companies approach launch sequences and what drives decision making among internal and external stakeholders. Trend analysis of the tools, process and best practices that drug companies use to develop launch sequences. Prioritized countries that companies target at various stages of the launch sequence and licensing cascade. Factors that influence each market in the launch sequence, as well as year-over-year trends in key markets. Cross-functional coordination of launch sequencing strategy. Important regulatory and market guidance to shape product launches. For more information about Cutting Edge Information's market access products and services, visit http://www.cuttingedgeinfo.com/library/market-access/.